It had been a while since I had pork chops, and I wanted to try a different way of making them. 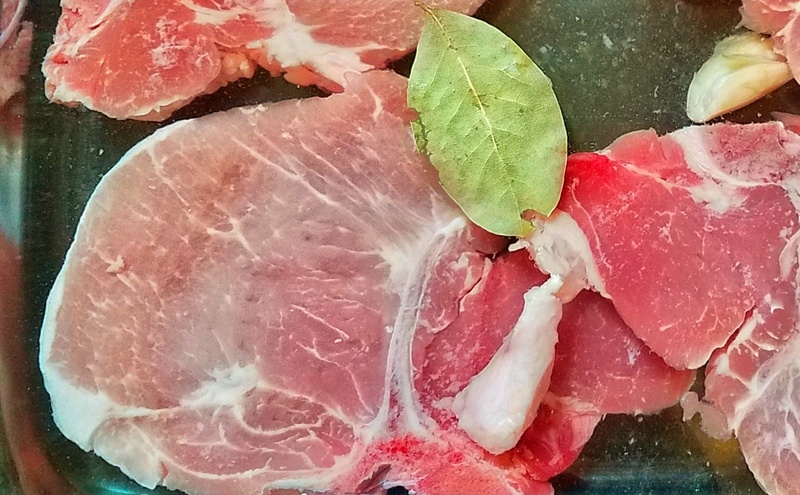 This recipe has the pork chops sit in a brine before cooking. This results in juicy and tasty chops! Gather all the ingredients together. I didn’t heat up the water like the recipe suggested. The salt still dissolved just fine. I placed the pork chops in a Pyrex dish and left it in the refrigerator for a couple hours. Heat up the oven to 400 degrees Fahrenheit. Place skillet in oven also so it can warm up too. 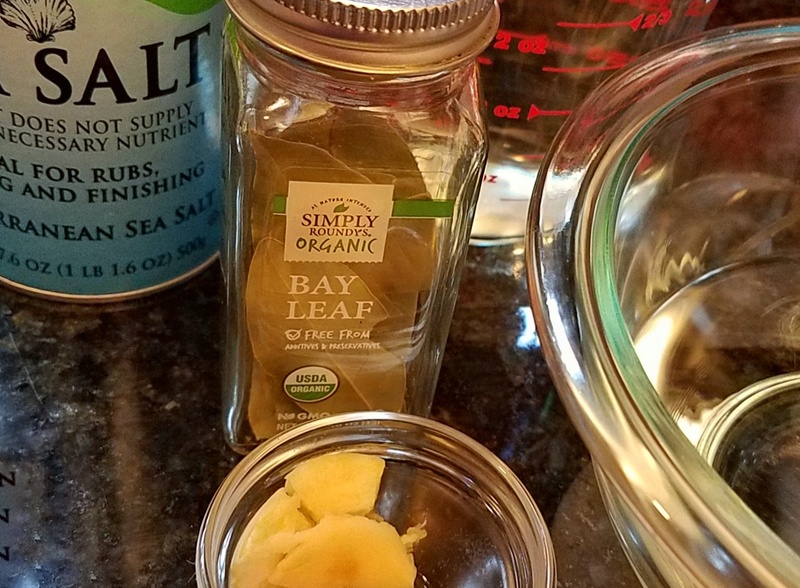 Remove the pork chops from the brine and season with olive oil, salt and pepper. Once the oven and the skillet are warm, take the skillet out (using an oven mitt) and place on a medium-high burner. Sear the chops for a couple of minutes on each side then place the skillet in the oven. Roast until the chops are cooked until 140 to 145 degrees Fahrenheit (about 6 to 10 minutes). 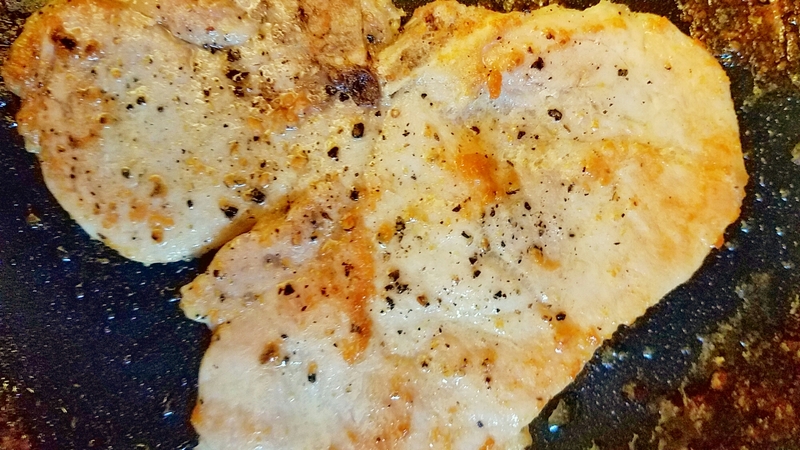 Remove chops from skillet and let rest with juices in a separate dish. Tent with foil and let them rest for 5 minutes before serving (in my case, slicing and dividing them between my containers). 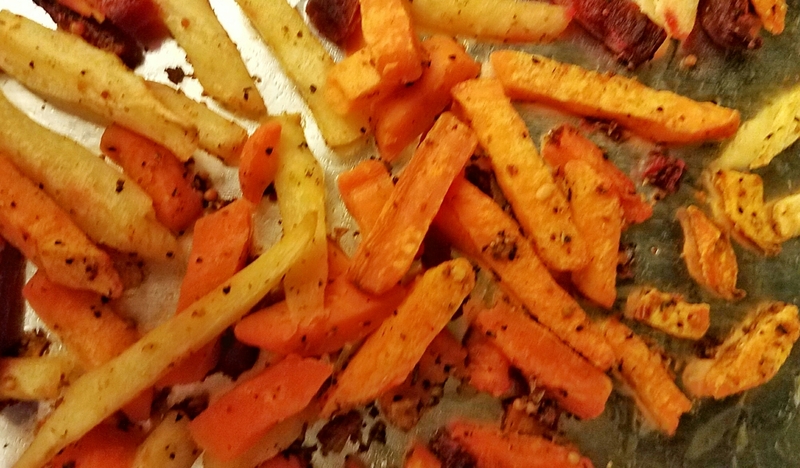 I accompanied the chops with julienned roasted root vegetables from Trader Joes.